New interactive features that drive product awareness and sales are now being rolled out to retailers and brands using EnGage, ComQi's Shopper Engagement Technology platform. Enhancements to ComQi's cloud-based in-store digital CMS platform, EnGage, power everything from video content launched by RFID tags on products, to content controlled and integrated with shoppers' smartphones. "Shopper engagement is absolutely central when we release new features to our EnGage digital signage platform, " explains Stuart Armstrong, President Americas and Chief Revenue Office for ComQi. "These latest features add more depth to a platform that are focused on engaging shoppers in the retail environment, and driving up sales and conversion ratios." Triggered Product Videos - When featured merchandising areas have screens, they can be made interactive for shoppers using low-cost RFID sensors and tags, or simple GPIO switches. For example, moving a specific product instantly triggers a targeted video about it. Pop-up Product Details - Barcode scanners located near in-store digital displays provide shoppers with key product lookup details, including price, using a semi-transparent pop-up window, that doesn't interrupt the primary video loop on the in-store screen. Video on Demand - Sales associates can interrupt a regularly scheduled playlist to show and control product videos displayed on a digital signage screen using their smartphone or tablet. EnGage tools allow store staff to choose from a list of videos to play, pause, rewind, and fast-forward content, on demand. App-free Mobile Engagement - Passport enable shoppers to communicate in real-time with in-store digital screens using their smartphones, without requiring a dedicated mobile apps. Tapping an NFC tag or scanning a QR code lets shoppers launch a simple but effective browser-based gateway to product information, discounts, and social media. Whole Store Take-Over: Every screen in a retail zone or entire store can be switched to a single message - such as a flash sale. Timing for visually dominant messaging can be defined down to the second using EnGage, or done on demand in stores using a simple mechanical switch. Social Integration - Retailers can now blend relevant social streams - such as Twitter, Facebook, Pinterest and Instagram - with their own messages on store screens. 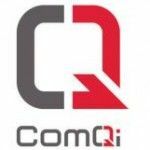 "ComQi has been focused on developing and delivering a range of tools that really engages shoppers on one unified, easily managed platform,” explains Armstrong.